Charitable pupils and staff fare looking out for vulnerable young people this festive season by collecting donations to help put a seasonal smile on the faces of the homeless, the lonely and staff at the Royal Blackburn Hospital. Members of the Year 10 National Citizenship Service group are spearheading the school’s annual Winter Warmer efforts to fund raise donations and then fill shoeboxes or create hampers to make life feel a bit more festive for homeless young people and the volunteers from abroad who care for them, alongside the lonely and hospital staff in recognition of the 70th anniversary of the formation of the NHS. They are filling shoeboxes with gifts and treats the youngsters would normally not get, such as cosy pyjamas and slippers, thermal gloves, hats, scarves, thick socks, hand warmers, biscuits, gift vouchers, chocolate, toiletry packs, perfume, aftershave. They will be distributed through Blackburn Nightsafe, a local charity which provides services to homeless young people aged 16 to 24 in the Blackburn and Darwen borough, Age UK and the Royal Blackburn Hospital. The Winter Warmer forms part of our Festive Winter Gift Programme, which sees pupils get involved in fundraising activities, appealing for donations to help provide gifts for people in need of support and giving their time volunteering during the festive season to demonstrate their contributions to the wider community through charitable actions. 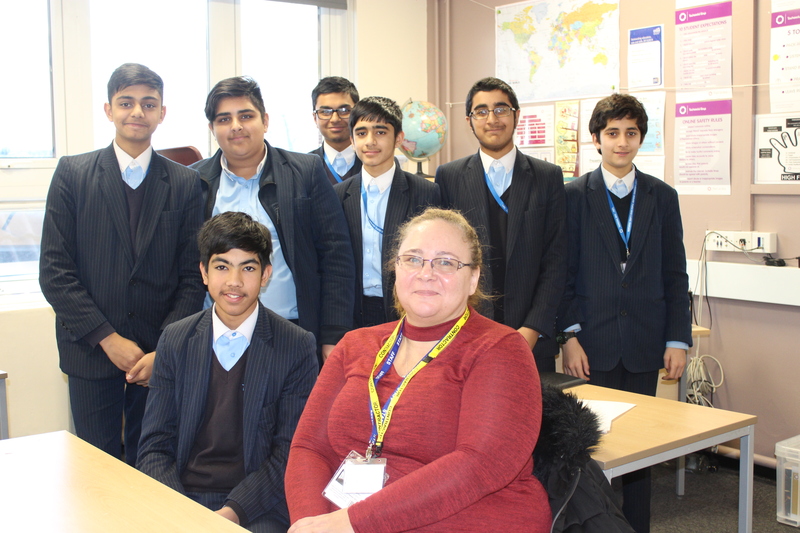 Amanda Fletcher, Day Care Centre Coordinator, has worked with Blackburn Nightsafe for 15 years and spoke to the boys about the 860 young people they helped in 2017, how someone can become homeless and the support that the charity offers. “I never imagined I would be working for Blackburn Nightsafe for so long, as I never wanted to think there would be so many homeless young people in Blackburn for so long. WINTER WARMER: TIBHS pupils are raising money to buy gifts for young homeless people and spoke to Amanda Fletcher, Day Care Centre Coordinator at Blackburn Nightsafe about her work.